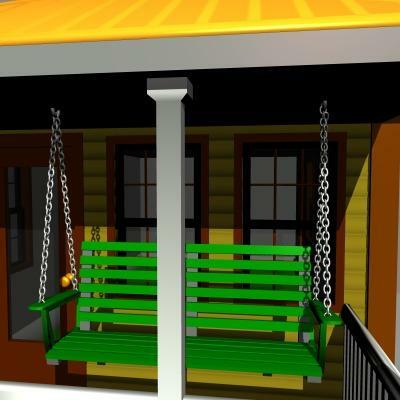 A bungalow-style porch swing in figure form. Helen (4 years ago) Inappropriate? I have been searching for one like this and now I found it. Just like the one in my backyard. Thank you! Shinola (7 years ago) Inappropriate? Thank you very much...love it!! Very nice! What house was used in the render? Thank you for all these great 3d objects specially from earlier times.